Cider Mill Press, 9781604338362, 240pp. 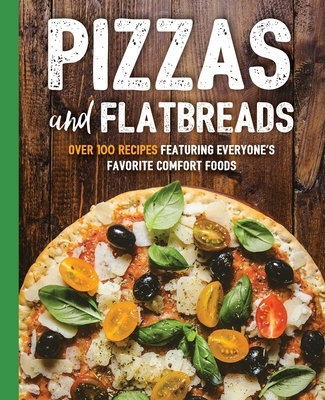 Whether you’re looking for a classic peperoni pizza or a vegetarian pita pocket, Pizzas and Flatbreads is stuffed with over 100 flavorful recipes to satisfy all your doughy cravings. Featuring international pizza and flatbread recipes for every meal of the day, with recipes for everything from making your own dough to cooking the perfect batch of naan, you’re sure to find yourself going back for seconds. Like all the books in the “Art of Entertaining” series Pizzas and Flatbreads offers easy-to-follow recipes and colorful photographs that will help make you the hero of family meals and parties.